Over the past week, Nintendo has been releasing special “Happy Birthday” wallpapers featuring some its biggest franchises. Joining wallpapers based on Super Mario Odyssey and Kirby, a new Breath of the Wild wallpaper has been unveiled as part of the promotion. 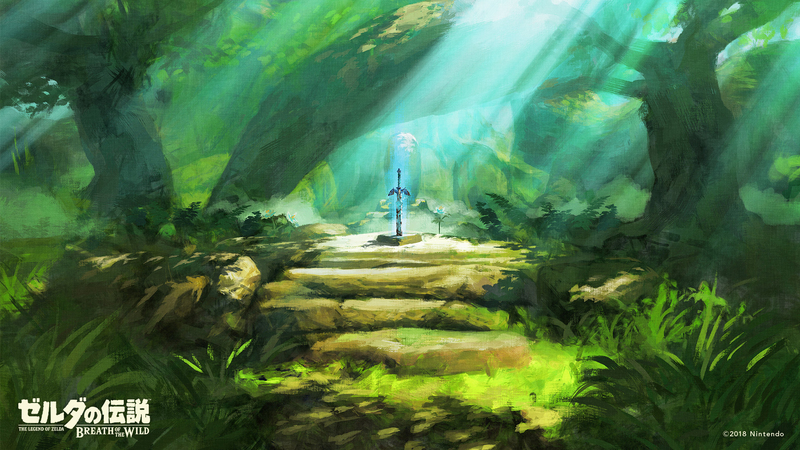 Available for both desktop computers and smartphones, this classy image features the fabled Master Sword resting deep in Korok Forest. These special wallpapers are being promoted as part of a “Happy Birthday” series, but only the Kirby image carries an obvious birthday sentiment. The Breath of the Wild and Mario Odyssey wallpapers can instead be applied to any situation, whether you want to share it with your favorite Zelda fan or you just want to show your Zelda love on your phone’s home screen. The Breath of the Wild wallpaper is available right here, in various dimensions for both desktop and smartphone. What do you think of this Breath of the Wild wallpaper? Will you be downloading for your phone or PC? Let us know in the comments below.